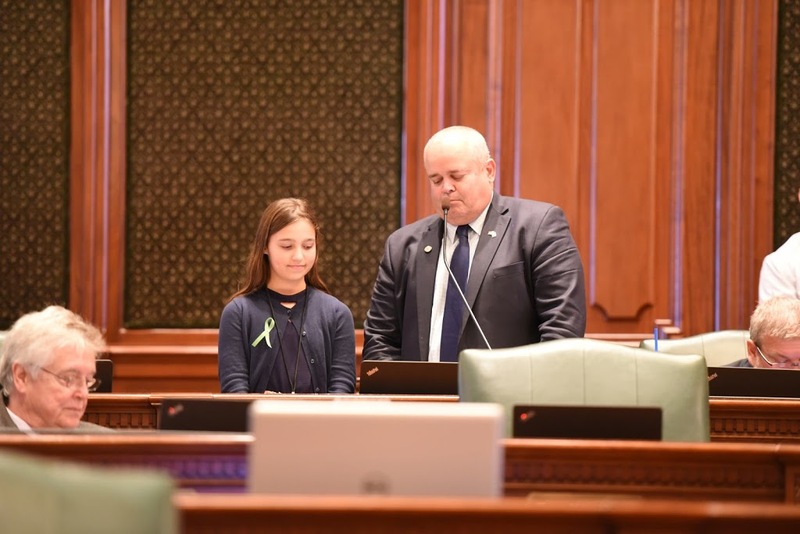 State Representative Dan Swanson hosted Aledo resident Lauryn Russell as an Honorary Page in the Illinois House on the final day of Fall Veto Session on Wednesday, November 8th. Lauryn is a sixth grade student at Mercer County Intermediate School where she is a member of the G.I.R.L.S. (Girls in Real Life Situations) Group as well as being a member of First Baptist Church of Aledo where she is a guitar player in the church Praise Band as well as teaching guitar at the Viola Presbyterian Church Guitar Clinic. Lauryn was recently nominated to attend National Pathways to S.T.E.M. program at Loyola University in Chicago.